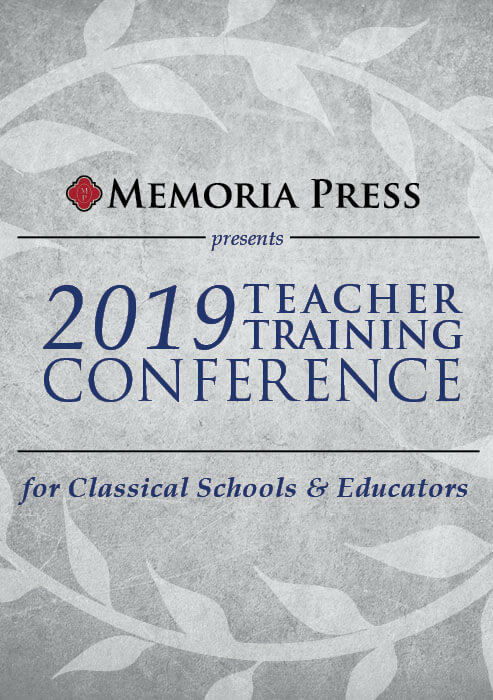 The 2019 Sodalitas Gathering presented by Memoria Press offers you the opportunity to connect with other homeschooling families, be inspired by the beauty of classical education, and become better equipped to lead your family in a successful school year. From plenary sessions with a broad focus to breakout sessions aimed at supporting practical needs, this year’s gathering will be a wonderful time spent with friends—new and old—discussing the struggles and successes of homeschooling, and sharing tips for next year! 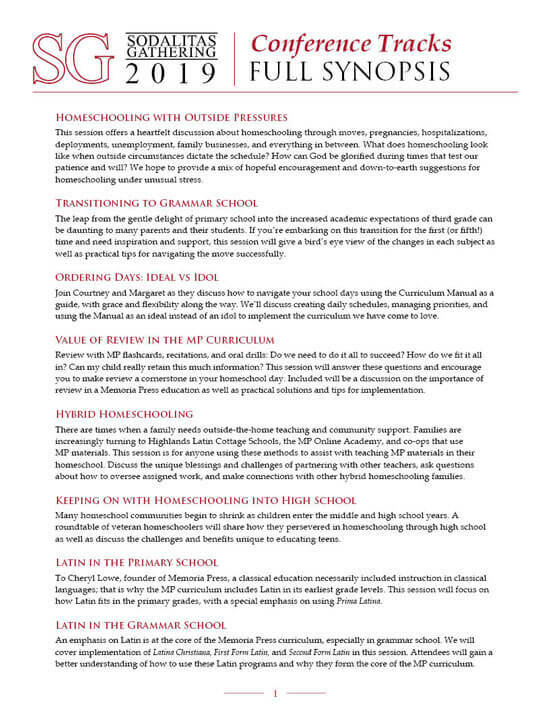 There will be a Simply Classical track for all those who want to learn more about homeschooling with special needs. 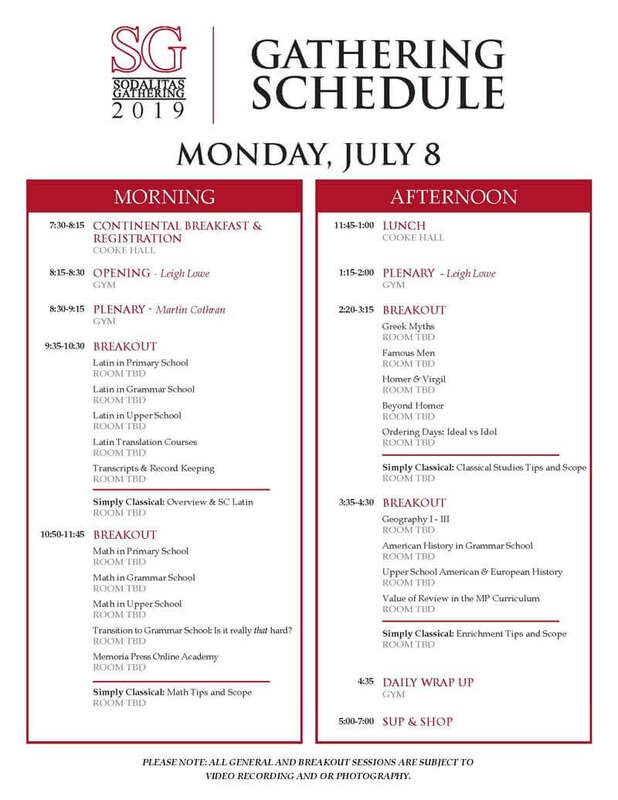 Continental breakfast and lunch will be provided on Monday and Tuesday. We encourage you to spend your evenings connecting with like-minded parents, getting to know each other more deeply. Please note: All general and Breakout sessions are subject to video recording and or photography. 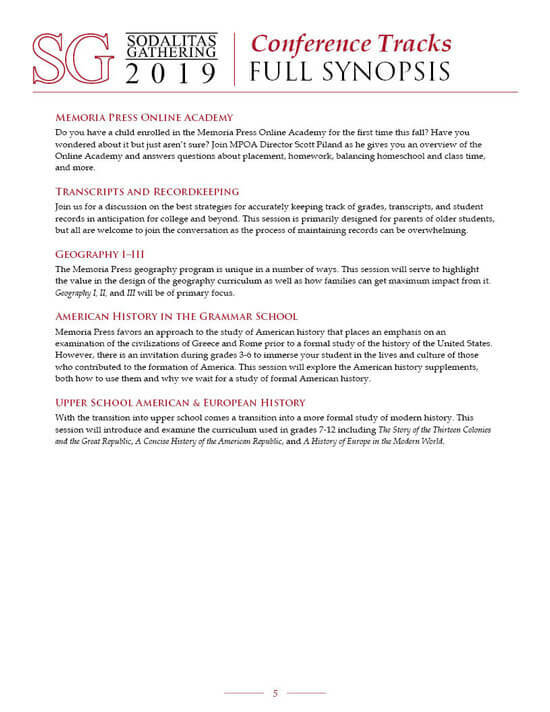 *One special feature of Sodalitas Gathering is an opportunity to view and buy all of the Memoria Press curricula and get advice and guidance from the knowledgeable Memoria Press staff. 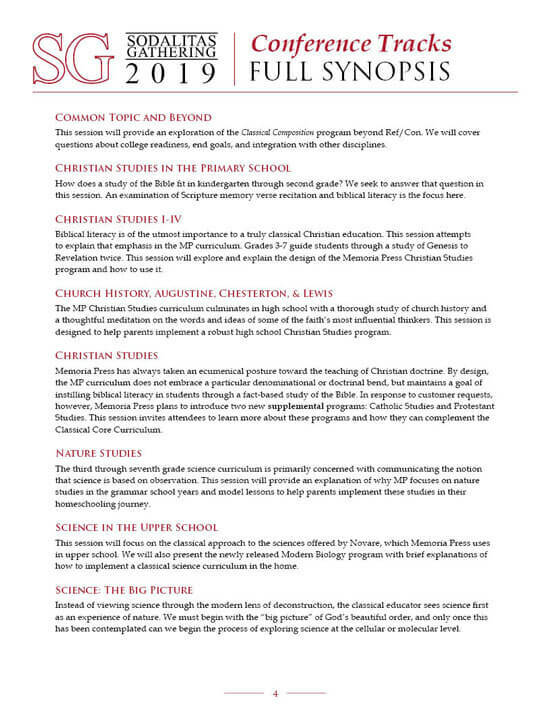 We want you to make the most educated purchase possible when it comes to your homeschool curriculum. 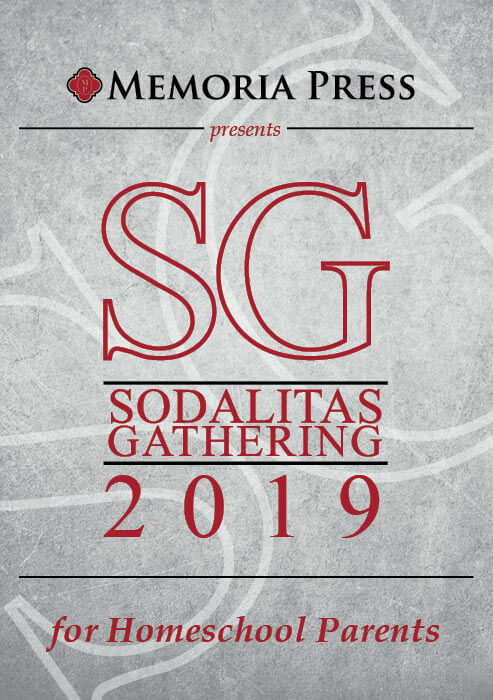 Click here to view more videos from Sodalitas Gathering 2018! 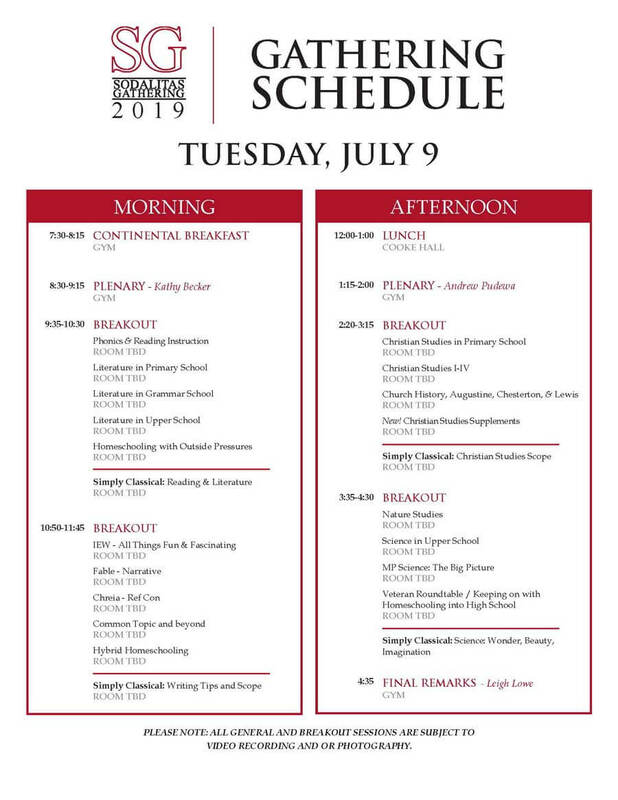 Sodalitas attendees are welcome to stay for the optional pre-conference tracks of the 2019 CLSA Teacher Training Conference, beginning on Wednesday. 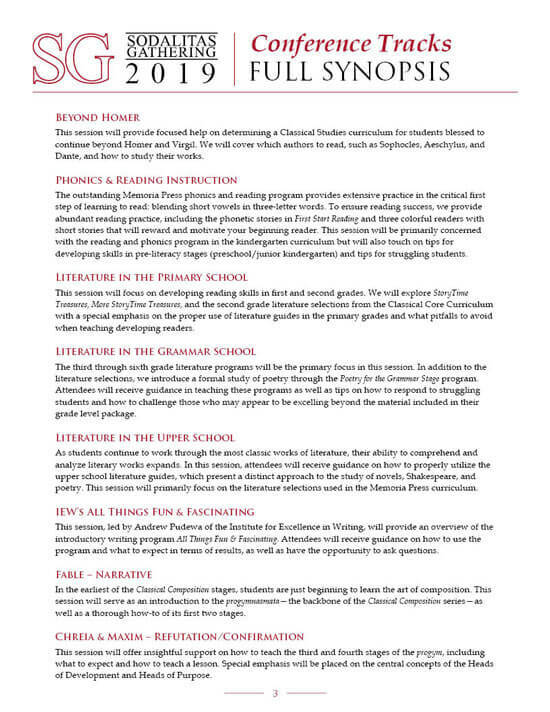 Feel free to attend any track that covers a subject for which you feel you need more direction or specific help. 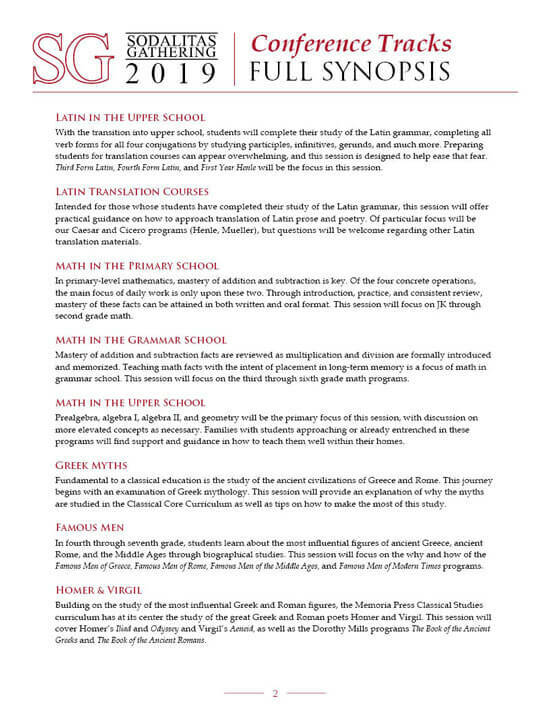 Pre-conference tracks are led by Highlands Latin School teachers and guests. *Additional fee applies ($50 for full-day or $25 for half-day tracks) and there is a separate registration process. Breakfast and lunch will be provided.